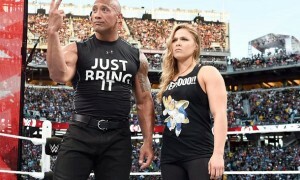 WWE has made an effort to legitimize its product for the fans. The kickoff shows are one part of that effort, as outside voices like Sam Roberts and Peter Rosenberg are now routinely used on the expert panel. The presentation is similar to that of any major sport, like the NBA or the NFL. But when was the last time the host of an expert NBA panel referred to a sportswriter as “fan?” The men and women appearing as analysts in their respective sports typically are not scrutinized for having not played the game on a pro level. So why is WWE different? Therein lays one of the major issues for fans watching the program. The audience is constantly reminded that neither Roberts nor Rosenberg are actually part of the business; they’re just along for the ride. They’re not really being used for their “expert” opinion because they don’t have one. They’re not pro wrestlers. The business is a work. Obviously. Fans can study the business and absorb as much of the past history as possible, but unless they’ve been in the ring, they just don’t understand the life. Everyone behind the curtain knows that. That’s just how it is. So why are outsiders being used if their opinions indeed do not matter? Is the company so intent on trying to offer a “real” program that it’s willing to incorporate foreign voices, just to prove it? Fans are smart to the business and have been for a long time. So why insult them by presenting non-wrestling personalities that use shoot-style Q&A sessions? Isn’t kayfabe dead? The best answer is the easy one. WWE books these personalities because of its continued desire to troll the audience. There can be no other reason. WWE as a company knows that a great number of pro wrestling fans religiously follow the industry online. Those fans are privy to the latest news, rumors and speculation. They read all of the major headlines on a daily basis. 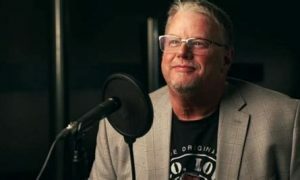 The pro wrestling audience wants to feel connected to the business because of their passion for it, which is completely understandable. Much like the aforementioned NBA and NFL, WWE has a legion of followers that love the sport. Some kids grew up with the New York Yankees versus the Boston Red Sox on their TV’s. But other kids grew up with WWE versus WCW on theirs. Pro wrestling is not just entertainment to these lifelong fans. It’s a big part of their everyday lives. So WWE uses Roberts and Rosenberg to build a connection to those fans. Now the guys that talk about pro wrestling on radio, TV and online, are now part of the show. They’re just regular people. They’re fans. This is what the company stresses as often as possible to the viewing audience. Rosenberg has followed the business on radio and TV for nine years. He’s interviewed WWE Hall of Fame Superstars and has earned an amount of respect among pro wrestling fans. Roberts has been plugged in since 2014 and has also interviewed his fair share of big name talents. Both men are indeed fans but they have definitely taken their careers in a pro wrestling direction. But how many times does WWE mention any of that on the air? The reason for that is because neither man is there for their knowledge. They’re not pro wrestlers, so in the minds of many in WWE, they don’t have knowledge. It does not matter how much either one loves the company and has studied the business. What does matter to WWE is that now it can speak directly to the fans whenever it wants. Rosenberg and Roberts can be used as tackling dummies any time the company wants to remind everyone of just how much they don’t know. Fans can’t run WWE. Only the McMahon family can do that. If anyone has any doubt, one expert panel is all the reminder that’s needed. It’s a double edged sword for the WWE faithful. On one hand, it does seem as though the company is trying to deliver a credible sports presentation. Any WWE panel could appear on ESPN and aesthetically fit right in. But on the other hand, any illusion of legitimacy is shattered the moment that WWE talents openly mock anyone that’s not previously worked as a pro wrestler. Suddenly, everyone watching comes back to reality. They remember that yes, this is just pro wrestling. Nothing more. The interesting part though is for most fans, there’s nothing wrong with that. Why not just leave the other personalities off the panel? Invalid opinions don’t mean anything, which really means the fans’ opinions don’t mean anything. So why bother? Maybe WWE’s expert panel is a good thing. At the very least, the fans feel they have a voice. If the company has the best of intentions, then the panel should definitely continue. But if it is indeed just an illusion, just as pro wrestling is, then there’s really no point to it. 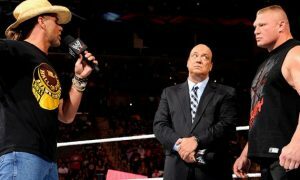 Why should WWE continue to thumb its nose at the paying audience? No one expects Roberts or Rosenberg to inexplicably break the fourth wall and begin shooting on the company during a live broadcast. Fans are smart enough to understand that the whole thing is a work. Sam and Peter are most definitely along for the ride. But until they’re shown at least some modicum of respect for their insight, there just seems to be no reason to continue. Perhaps WWE is just having too much fun with the whole concept to stop now. Or perhaps there is no malicious intent on the company‘s part. Either way, the experts just do not seem like experts at all. Maybe that’s the point.